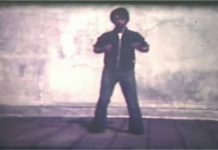 Wham, the soft foam pad on your hand hits your opponent upside the head with a back fist, knocking him sideways, but not into oblivion. You can thank a man named Jhoon Rhee for the protective safety equipment you are wearing when you spar. 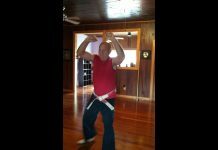 At eighty years of age, only middle age by his standards, the inventor of the first martial arts safety gear, Jhoon Rhee, has recently embarked on another noble quest. He wants to return the simple values of honesty, discipline and respect to the world. He believes that not only is this possible, but that now is the time to begin moving the world in the right direction. He also believes that it is true martial artists who must forge the path for others to walk. Luckily, it is Jhoon Rhee, a man of true quality, who is delivering the message and leading the way. The name Jhoon Rhee has always been synonymous with martial arts. Jhoon Rhe is a man who has taught and trained with the best, the most legendary fighters of our time, and now he takes on a new battle… to improve the world! 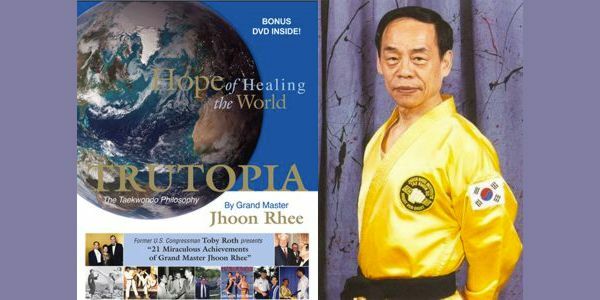 Rhee’s world-changing message was forged through his martial training, and he shares it with others through his teaching, training, speaking and writing. Specifically, he wants people to know that in life (as in martial arts) the goal is to become better, happier people. He explains that all change begins with the individual and it is individuals that must lead others by their example. Jhoon Rhee personifies his own advice, he practices what he preaches! Known as the Father of American Tae Kwon Do, and credited with making safe, yet realistic training possible, Jhoon Rhee’s work has positively affected millions. Beyond martial arts, he has been an official Ambassador for the U.S. to other countries. He has offered martial arts lessons to members of Congress in Washington D.C., allowing them to benefit from disciplined training. Scores of martial arts legends acknowledge that they have learned from Jhoon Rhee and that his best teaching tool has always been his fine example. Following is an exclusive interview with the great Jhoon Rhee for LEGENDS AND LEGACIES on USAdojo.com. (G) IS THERE A QUESTION YOU HAVE NEVER BEEN ASKED THAT YOU WOULD LIKE TO ANSWER? (JR) [No] I don’t know if I told you, but I have been interviewed many times and am willing to answer any questions you have. Once in the Soviet Union I was interviewed for eleven days, eighteen hours a day. I was conducting seminars and one day I had a fifteen hour question-and-answer session. I answered every question they asked. (G) O.K. THEN, HOW ABOUT THIS? DO YOU CONSIDER TAE KWON DO A SPORT OR SELF DEFENSE TRAINING? (G) ARE YOU HAPPY WITH HOW TAE KWON DO HAS DEVELOPED IN THE U.S.? (G) LET’S TALK ABOUT YOUR BOOK. IS THIS HOW YOU WOULD LIKE TO BE REMEMBERED? (G) AH! NICE. DO YOU THINK THAT PEOPLE WILL REMEMBER YOU THAT WAY? OR, HOW DO YOU THINK THAT WILL LIKELY REMEMBER YOU? (G) I’M SHOOTING FOR 140 MYSELF. (G) YOU ARE AN INSPIRATION!!! WHO WAS YOUR GREATEST INSPIRATION AS A MARTIAL ARTIST? WHO INSPIRED YOU THE MOST? (G) WHO THEN INSPIRED YOU? (G) IF YOU HAD A CHANCE TO GO BACK INTO HISTORY AND SIT DOWN WITH SOMEONE, WOULD GEORGE WASHINGTON BE THE PERSON YOU WOULD PICK? (G) IF YOU HAD THE CHANCE TO SPEAK TO HIM, WOULD THERE BE ANY QUESTION YOU MIGHT ASK HIM OR ANYTHING THAT YOU MIGHT LIKE TO THANK HIM FOR? (G) RIGHT, WE SEE A TSUNAMI IN JAPAN HAPPENING ON THE NEWS, AS IT HAPPENS. (G) WELL, I HOPE IT DOES, TOO. I THINK IT’S AN IMPORTANT MESSAGE AND BASICALLY, IT IS WHY WE ARE DEDICATED TO THE LEGENDS AND LEGACIES SERIES. (G) HOWEVER, LET’S GET BACK TO OUR INTERVIEW. DO YOU HAVE ANY ESSENTIAL TECHNIQUES OR IDEAS THAT YOU’D LIKE YOUR TAE KWON DO STUDENTS TO KNOW? (G) WHO IS YOUR SUCCESSOR? IS THERE SOMEONE, A STUDENT WHO YOU ARE LEAVING ALL OR MOST OF YOUR KNOWLEDGE WITH? (G) I KNOW THAT YOU’RE AN AMBASSADOR, A CREATOR, A TEACHER, AN INVENTOR, A BUSINESSMAN, A PHILOSOPHER AND MARTIAL ARTISTS, BUT HOW WOULD YOU SUM UP YOUR LIFE? (G) YES. DO YOU THINK ALL MARTIAL ARTISTS -—ESPECIALLY MARTIAL ARTS TEACHERS– SHOULD TAKE THIS TRUTOPIAN PLEDGE? (G) WHICH OF THESE STATEMENTS WOULD YOU SAY IS CLOSER TO THE TRUTH? 1) THAT YOU, JHOON RHEE, ARE A SPECIAL HUMAN BEING (THEREFORE YOU WILL BE ABLE TO LIVE TO 146 YEARS OLD)? 3) THAT ALL HUMAN BEINGS ARE SPECIAL, IN THAT WE ALL POSSESS THESE ABILITIES? (G) WHERE DID WE GO WRONG? WHY, DO YOU THINK, DID HUMANITY GO WRONG? WHY HAVE WE TAKEN THIS SIDE ROAD? IS HAVING OBSTACLES PART OF THE LEARNING PROCESS, PERHAPS? (G) COULD EVOLUTION BE PART OF THE PROCESS? (G) YOU SOUND LIKE YOU’VE ACTUALLY READ THE BIBLE. (GR) AND, THAT PRAYER YOU CITE ALSO BEGINS WITH THE WORDS, OUR FATHER NOT JUST MY FATHER. (JR) That’s right. So, many religions, not just Christians, but Jews and Islam have really given up hope. Instead of saying we can be perfect they say. ‘we are all born sinners. You never can be perfect.’ So, we’re really condemned by the religious dogma to stop thinking that we can be perfect. Everybody thinks they just have to go to church and ask forgiveness. If that’s the case, then Hell will be continuing. It seems being hopeless is really against God’s will. Once and for all, somebody must dedicate themself to showing that [perfection and happiness] are possible. The Wright Brothers were the only ones who thought it, described it and thought we could fly and that dream was realized. Albert Einstein’s Theory of Relativity, people thought he was out of his mind in his time, but he became a history maker. How about Thomas Edison inventing the light bulb? He acknowledged the importance of his many failures before he succeeded. Somebody is always first to have the vision. (G) PLEASE REFRESH MY MEMORY. (G) YES, I DO, AND GRANDCHILDREN. (G) MY GRAND OPUS. WHAT ABOUT MY GRANDCHILDREN? (JR) Well, that is your children’s masterpiece in the performing art. (G) TO cHANGE THE SUBJECT A LITTLE, DO YOU RECOMMEND ANY SPECIAL DIET? (JR) Yes. It really is a shame that the human heart has been contaminated and everybody has become selfish and contaminateS the air, the water, soil, food. So, eating at a restaurant you have to be very careful. Unless I have to, I try to eat at home so I don’t have to eat chemicals that are added to make [the food] taste better. I eat more vegetables and fruits. I eat very, very little meat, just enough to carry my proteins. (G)DO YOU TAKE SUPPLEMENTS? VITAMINS OR EAT SPECIAL FOODS? (G) DO YOU DRINK ALCOHOL? (G) TELL US PLEASE, HOW OFTEN DO YOU PRACTICE? (JR) Well, I live everyday Love. (G) LIKE MANY MARTIAL ARTISTS, YOU BEGAN YOUR TRAINING AT A RELATIVELY YOUNG AGE. DO YOU FEEL THAT MARTIAL ARTS IS AN IMPORTANT OR ESSENTIAL FACTOR IN YOUR CURRENT PHILOSOPHY? (G) TO WHAT DEGREE WOULD YOU SAY THAT MARTIAL ARTS TRAINING HAS CONTRIBUTED TO YOUR CURRENT PHILOSOPHY? (G) IS IT THE DIFFERENCE BETWEEN BEING A MARTIAL ARTIST AND BEING GOOD AT PUNCHING AND KICKING? 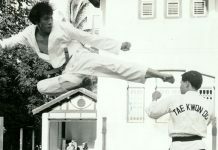 (JR) “If you are a good martial artist, you first of all have to be a good person and have compassion for other people. There are some people who really enjoy the pain of other people. Those kinds of people are really remote to becoming a good person. However, there are quite a few people who are very compassionate and they are good martial artists. Benny Urquidez is one of them. I listened to his Message in a Bottle. He talks about, pretty close to what I’m saying. ‘Why am I here?’ He didn’t say, to be happy. He said, ‘to understand.’ He hasn’t told us what we’re supposed to be understanding. (G) WELL, I HAVEN’T RELEASED THE WHOLE INTERVIEW YET. 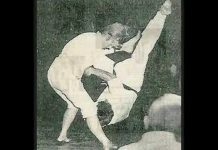 BENNY’S FULL INTERVIEW WILL BE RELEASED IN MY NEXT COLUMN FOR LEGENDS AND LEGACIES, ON WORLDWIDEDOJO.COM. (G) HOW DO YOU FEEL ABOUT THE MMA? (G) HOW DO YOU RANK BOXING, THEN? (G) AND, I GUESS MONEY CAN BUY YOU A BLACK BELT THESE DAYS. YOU HAVE SO MANY GREAT ANSWERS TO MY QUESTIONS. 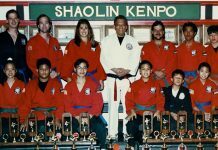 I WAS JUST WONDERING, HOW DO YOU FEEL ABOUT THE BELT RANKING SYSTEMS, KIDS GETTING BLACK BELTS WHEN THEY ARE FIVE YEARS OLD OR BECOMING A GRAND MASTER AT NINETEEN? DO YOU THINK THAT THERE IS SOME BETTER WAY, AS MARTIAL ARTISTS TO CONSIDER OUR RANKING SYSTEMS? SHOULD WE HAVE A SINGLE RANKING SYSTEM? (G) I WAS PARTICULARLY IMPRESSED WITH YOUR SIMPLE SOLUTION TO MOST OF THE WORLDS ILLS: JUST TELL THE TRUTH. WOULD YOU SAY THAT IS A FAIR ANALYSIS OF THE BOOK? 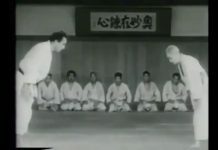 (G) CAN YOU TRANSLATE THIS MESSAGE INTO SOMETHING THAT MIGHT BE USEFUL TO MARTIAL ARTISTS, SPECIFICALLY? (G) AFTER READING YOUR BOOK AND RECOMMENDING IT TO MANY PEOPLE, I NOW SAY THAT I AM A TRUTOPIAN. 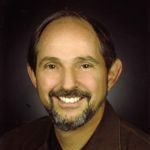 WE BOTH AGREE (YOU AND I)—AND I WANT TO THANK YOU FOR CONTRIBUTING TO ANOTHER BOOK THAT I WILL RELEASE SOON, THE FIVE PRINCIPLES OF EVERYTHING– THAT MARTIAL ARTISTS ARE THE PEOPLE WHO CAN LEAD THIS MOVEMENT. I CALL THE MESSAGE OF YOUR BOOK A TRUTOPIAN MESSAGE, WHICH I SUMMARIZE AS THE TRUTOPIAN PLEDGE….THAT ALL OUR ACTIONS SHOULD BE BASED ON TELLING THE TRUTH. DO YOU THINK THAT COMMON PEOPLE, POLITICIANS AND WORLD AND BUSINESS LEADERS WOULD BENEFIT BY TAKING SOME KIND OF TRUTOPIAN PLEDGE? IF SO, WHAT SHOULD BE IN THAT PLEDGE? (G) …OF CONFLICT AVOIDANCE RATHER THAN JUST CONFLICT RESOLUTION? SO, WHAT WILL OUR PLEDGE BE?